time and I love it but today I'm trying a new product by Fusion. 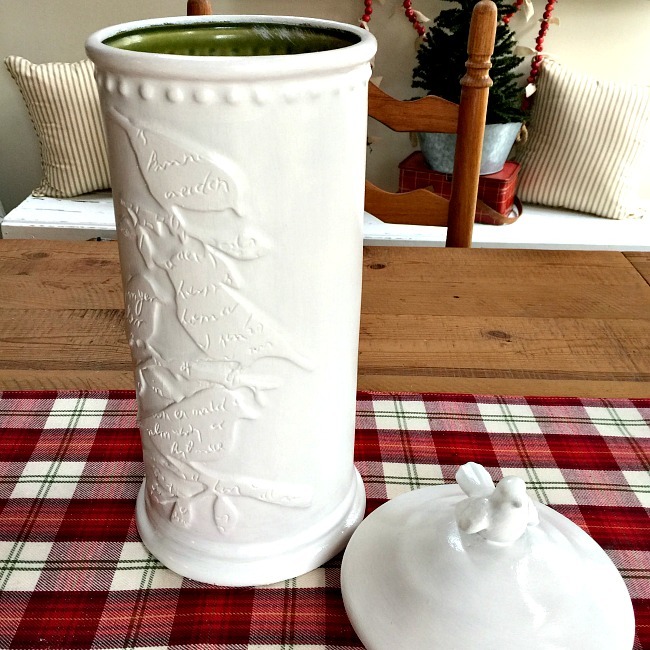 My test ceramic piece was a gift from a family member and if you're reading this right now Barbara, please know that I like it even better now. 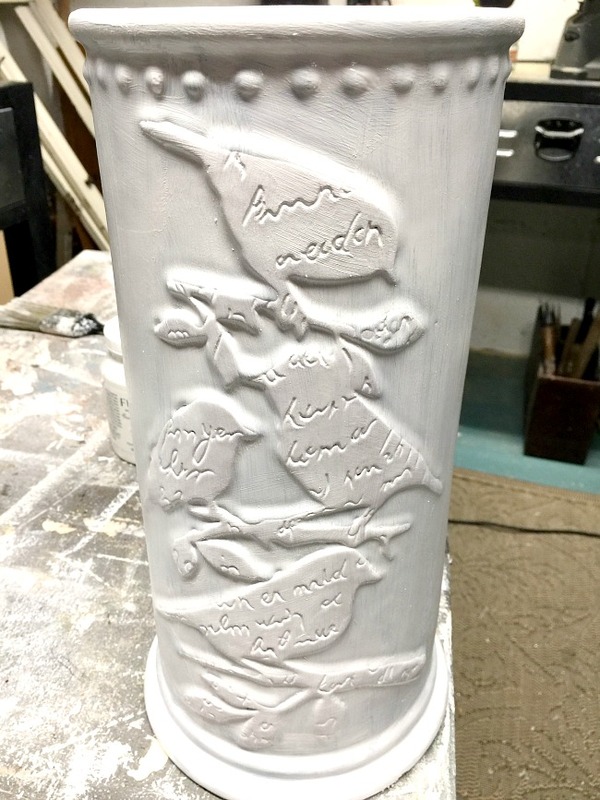 The piece in question is a tall vessel and top with a bird. 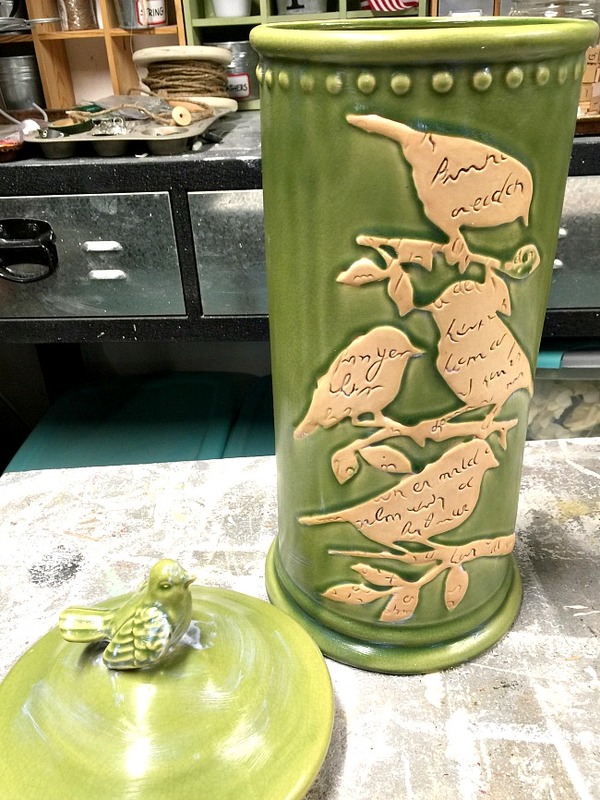 There are so many things I like about it, the raised dots, the birds, the bird on the top... just the color is well, green. While it was very pretty.... I swear Barbara it was.... I had always wished it was white. 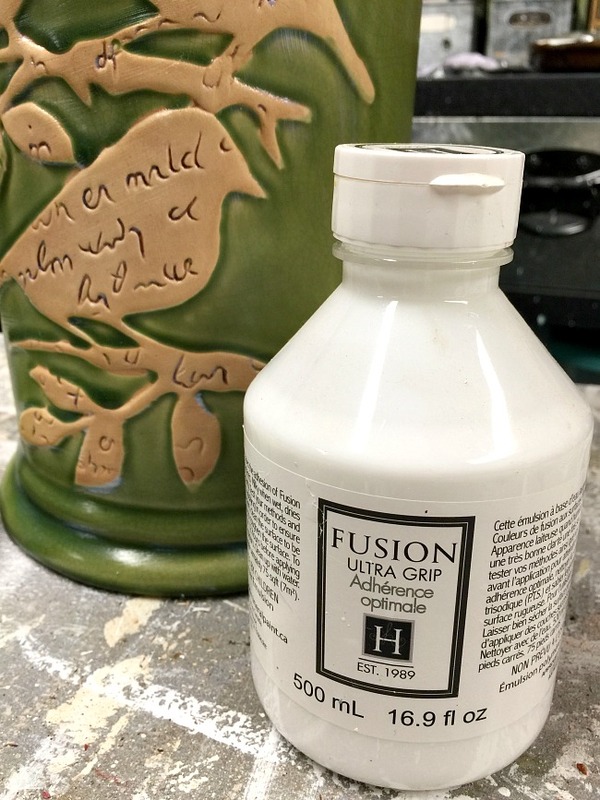 I'm trying Ultra Grip by Fusion Mineral Paint. I painted the piece with the Ultra Grip and let it dry. Then I painted it with Fusion Mineral Paint in Casement... My favorite white. The paint sticks to the Ultra Grip and goes on smoothly. I gave it 2 coats. 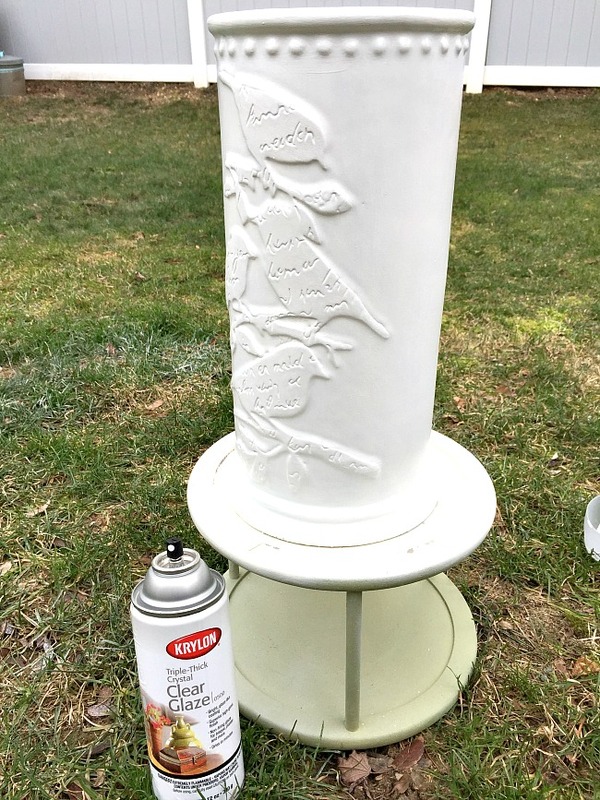 When the paint dried I brought it outside and sprayed it with Krylon Triple Thick Clear Glaze. 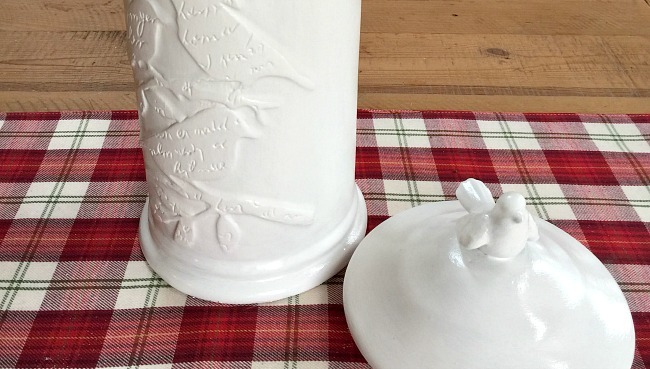 The Clear Glaze gave the chalky paint the look of shiny ceramic. 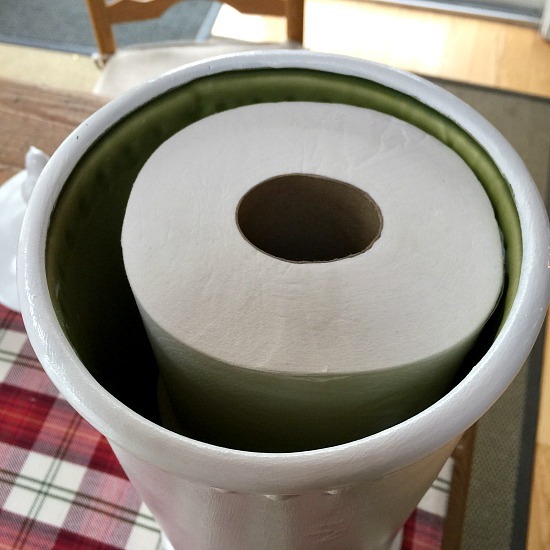 I discovered that this vessel was the perfect size to store TP for the bathroom. 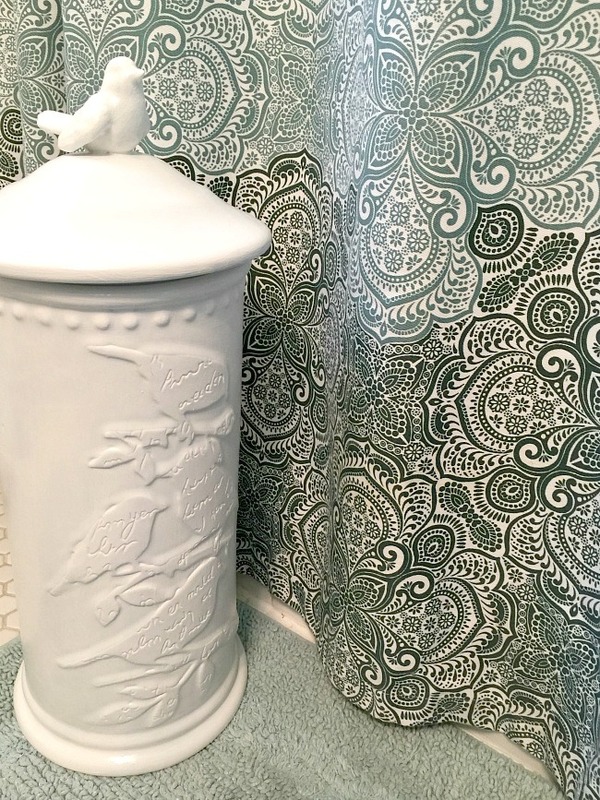 So this little used green bird vessel is now the perfect color and size for my master bathroom. So see... I knew I'd love it better white! Fusion Mineral Paint is the perfect paint for almost anything and now you can use Ultra Grip to adhere the paint to any surface. 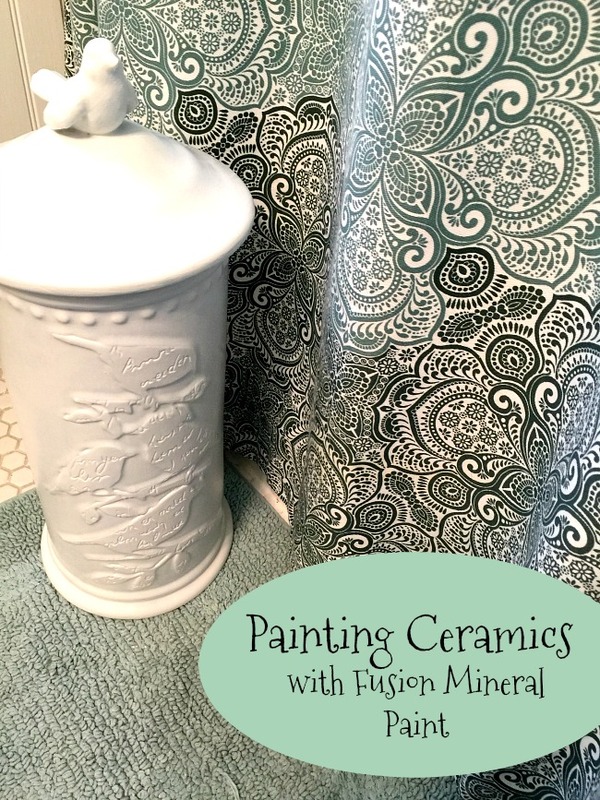 Fusion Mineral Paint can be purchased in store or online at Revival Oporium at Backstreet Antiques, 32 MacArthur Ave. Huntington, NY. 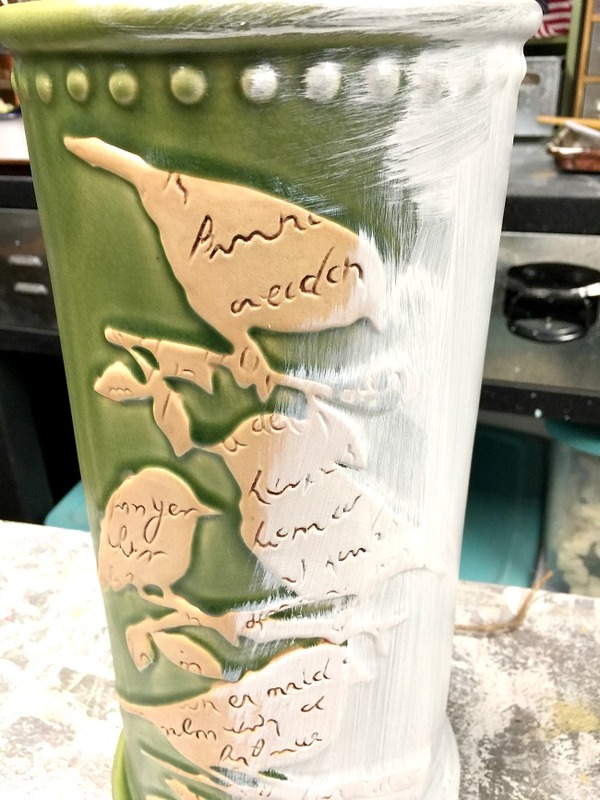 I've been wondering how the various paints work on glazed ceramic! One down, and 299 to go! It looks nice, and I love that it holds TP! Thank you for sharing. This is awesome, will have to try it and the glaze makes it looks shiny!